Visma Ski Classics is the long distance ski championship consisting of the eleven most traditional and prestigious ski events in the world. Ylläs-Levi 70 km is a new long distance ski race, second edition, and for 2019 will again be the final event in Visma Ski Classics just like in 2017. There will be a shorter and easier course, 55 km, from Ylläs to Levi serving amateur and leisure skiers. 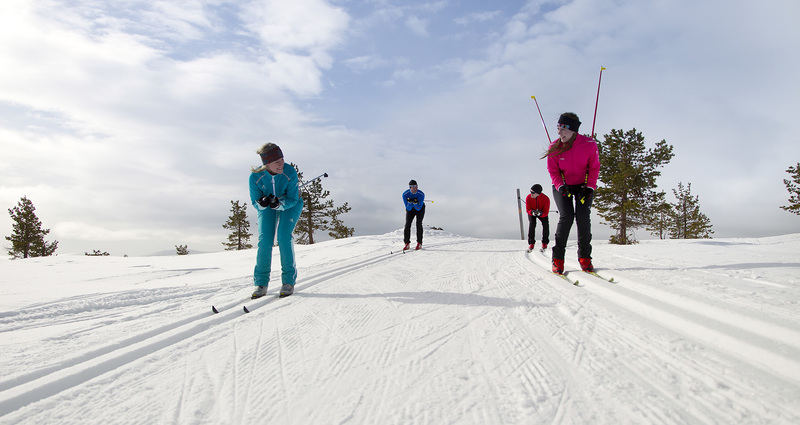 The Visma Ski Classics long distance ski races are all 50km or more. These unique winter events combine professional elite skiers with a huge mass of amateur skiers through picturesque landscapes around Europe. In each race there are between 5 000 – 18 000 skiers on the start line at once. Legendary ski events Marcialonga, Vasaloppet and Birkebeinerrennet are part of the Visma Ski Classics tour. The tour is a TV-concept with helicopters and snowmobiles. Visma Ski Classics consists of different competitions (sprint points, leader jersey women and men, best young skier women and men, best team over the season) within each race in order to enhance the excitement. Prize money over all season standings € 235 000. Ylläs-Levi 70 km & 55 km races take place on Saturday April 13th – register here.